The fur on the ends of the Husky dog is glistening with snow as this cute face poses for a picture before venturing out on his next sled trip. The Husky dog takes many visitors on a journey of a life time on a passenger sled through the back country trails of the mountains of Alaska, USA. 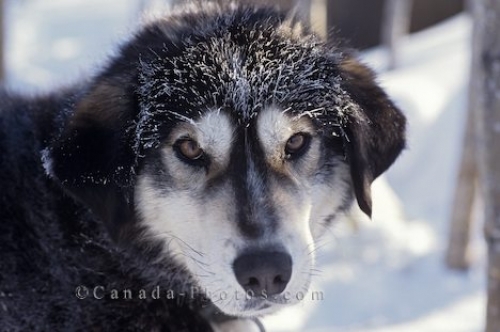 Picture of the cute face of a husky sled dog in Alaska, USA.